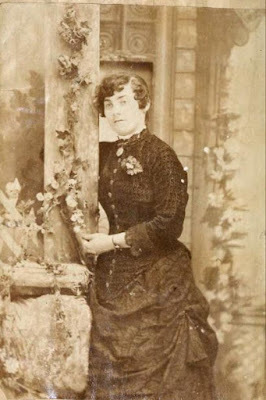 Murder by Gaslight: Nellie C. Bailey. William Dodson led a drive of 2300 head of sheep from Kansas through Indian Territory to their new home in Texas in October 1883. 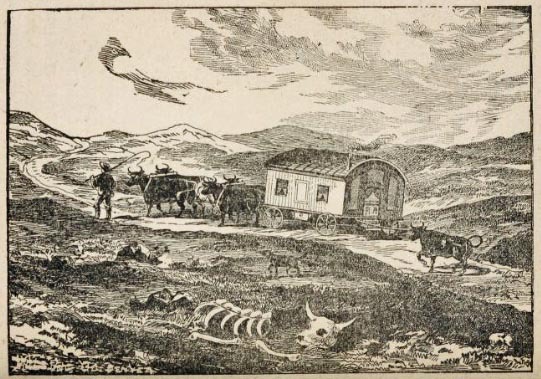 A mile behind them the owner of the new ranch, a widower named Clement Bothemly, and his sister Bertha traveled in a wagon outfitted with bedrooms. Pulled by two yoke of oxen, the wagon was so large that observers compared it to a railroad car. The night of October 7, Dodson heard Miss Bothemly calling from a distance and ran to see what was wrong. She took him to the wagon and led him inside where Clement lay dead from a gunshot wound to the head. He killed himself, she told Dodson. Clement had been suffering from rheumatism, and the pain had become unbearable. He had been taking large doses of morphine, but even that had not alleviated the pain. Bertha had been awakened by the gunshot and found her brother lying dead. They realized that they would have to dig a grave and bury him on the trail. A wagon heading for Kansas had passed them several hours earlier, and Dodson rode to them to ask for assistance. The men came back with him, and they buried Clement Bothemly near Skeleton Ranch. After a brief ceremony, Bertha and Dodson continued on the drive. In Kansas, federal marshals heard the story of Bothemly’s death and suspected foul play. Marshal Hollister and a group of deputies caught up with sheep drive about nine miles south of the site of the murder. They exhumed the body of Clement Bothemly and took it back to Newton, Kansas to be buried beside his late wife, and the took Bertha Bothemly to jail in Wichita. They soon learned the woman was not Bothemly’s sister and she was not named Bertha; she was Nellie C. Bailey, Clement Bothemly’s mistress. The marshals suspected that Nellie and William Dodson had murdered Bothemly for his money. Before she and Bothemly had left for Texas, he deeded to her $20,000 worth of property in Kansas, and after his death, she took possession of his trunk containing $7,000 in jewelry and diamonds and his outfit consisting of sheep and stock worth $10,000. Nellie had long dark hair and dark eyes; she was petite with a fine figure and seemed to have a devastating effect on men. At age seventeen she was engaged to a boy in Illinois named Alvin Lakeside when she caught the eye of a banker named Shannon Bailey. She broke her engagement to Lakeside and married Bailey in Newton, Kansas. Bailey, who was quite a bit older, provided well for Nellie but was gone most of the time seeing after his mining interests in the Black Hills. In his absence, Nellie grew restless, traveling first to New Jersey, then to Wisconsin. The play was never performed, but Nellie became intimate with Robert Reise, one of the players. 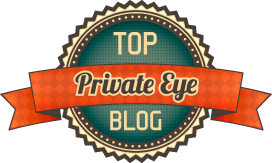 Though she was still married to Shannon Bailey, she told Reise that they had secretly divorced. She and Reise were married in Waukesha, and she stayed with him for a short time, but after realizing that he was not as wealthy as she thought, Nellie took off again. She left Wisconsin, and although she continued to correspond with Robert Reise, she would never see him again. Nellie returned to Newton, Kansas where she began a relationship with Clement Bothemly whom she had met in a previous stay in Newton. In the fall of 1883, they planned to move to Texas and start a sheep ranch together. On October 1, they began the ill-fated journey. In Wichita, Nellie was indicted for murder and held on $10,000 bail. She spent more than a year in jail waiting for her trial. During that time, she complained about the way she was portrayed in the press. She began working on a novel based on the true story of her life to be called The Drover’s Revenge; or, The Secret of Sunset Trail. 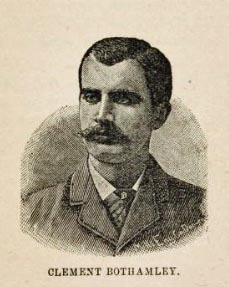 Nellie’s trial began on January 19, 1885. 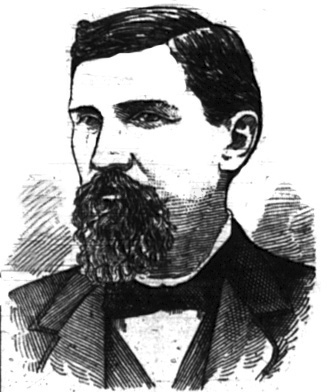 The prosecution attempted to prove that Nellie had conspired with William Dodson to murder Clement Bothemly and take his money and property to Texas. Nellie maintained that Bothemly had shot himself. In the end, there was little hard evidence to contradict Nellie’s statement, and on January 20 she was acquitted of all charges. It was reported that following her acquittal, Nellie was offered a position with a professional theatrical company and she planned to accept. “A Beautiful Murderess on Trail.,” Wheeling Register, January 20, 1885. “A Beautiful Woman Held for Murder,” Cleveland Leader, November 2, 1883. “A Noted Woman Acquitted on the Charge of Murder,” Boston Journal, January 21, 1885. “A Pretty Woman in Trouble,” National Police Gazette, December 1, 1883. “A Wicked Beauty.,” Wheeling Register, November 10, 1883. “Divorce Wanted,” Plain Dealer, November 5, 1883. Jackson, Mary E., The Life of Nellie C. Bailey (Topeka: R. E. Martin & Co., 1885). “Naughty Nellie,” Daily Register, January 26, 1885. 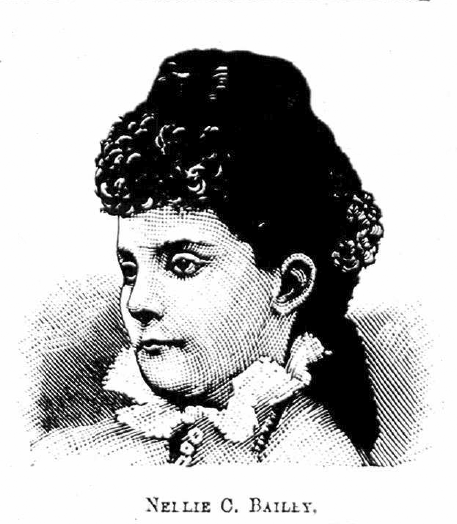 “Nellie Bailey,” Daily Gazette, November 9, 1883. “Nellie Bailey,” Rockford Weekly Gazette, November 14, 1883. “Suspicious Death,” The Statesman, October 25, 1883. Very interesting. Robert Reise is my great grandfather.